عندما تزور وارنامبول, ستشعر أنك في بيتك في Comfort Inn On Raglan الذي يقدم لك إقامة متميزة و خدمات عظيمة. يسهل الوصول إلى هذا الفندق ذو 4 نجوم من المطار، فهو يبعد عنه مسافة 13.40 km فقط. إن سهولة الوصول من الفندق إلى المعالم السياحية الشهيرة الكثيرة في المدينة كمثل Fletcher Jones Garden and Antiques and Collectibles Market, The Mill Markets, Albert Park Reserve هو استثنائي بحد ذاته. يقدم Comfort Inn On Raglan خدمات لا غبار عليها وكل أشكال اللياقة وحسن الضيافة اللازمة لإسعاد ضيوفه. يقدم الفندق فرصة للاستمتاع بشريحة واسعة من الخدمات بما فيها: واي فاي مجاني في جميع الغرف, خدمات بريدية, واي فاي في المناطق العامة, صف السيارات, خدمة الغرف . في الفندق غرف نوم يتجاوز عددها 21، كلها مجهزة بعناية وجمال وبعضها مزود بـ شاي مجاني, إغلاق, مناشف, مرحاض إضافي, قهوة فورية مجانية. كما أن مجموعة الخدمات الواسعة الموجودة في الفندق لضمان راحتك تترك لك الكثير من الخيارات لقضاء وقتك أثناء فترة إقامتك. 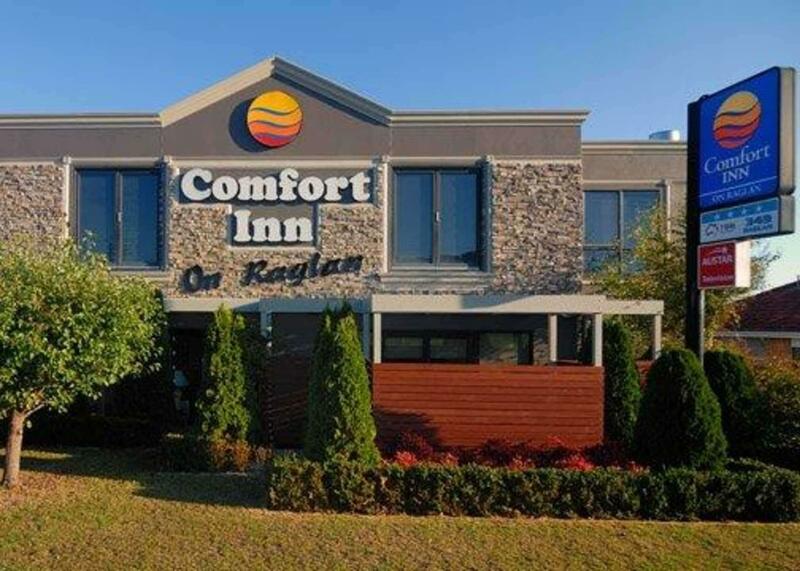 مهما كانت أسبابك لزيارة وارنامبول، فإن Comfort Inn On Raglan هو الخيار الأفضل لإقامة مثيرة وممتعة. يرجى العلم أن هناك رسم إضافي يُطبق على جميع العملاء الذين يدفعون بطاقات Amex أو Diners نسبته 3.5%. ويوما السبت والأحد من 8 صباحًا إلى 9 مساءً. Toilet paper very thin. Would have been nice to have the option of hot chocolate as well as tea and coffee. This hotel was advised on adoda as a superior queen room on sale for the day from $200 down to $98.00. Thinking we were going into this fabulous room it was a budget room worth the $98.00 for the night. Was not a super sale. Which left us disappointed. Drove to the Apostles with my wife and in-laws and decided to stay overnight in Warrnambool. We stayed at Comfort Inn on Raglan on their family room and we got exactly what we wanted, a clean, simple and basic room for all of us to relax and have a good night sleep. Nothing fancy, just a really nice clean room and nice staff. Thanks guys, will definitely come back next time we visit. We booked last minute and found this accommodation provided reasonable cost and the location is very convenient as it's very close to most tourist attractions in Warrnambool. The host Ann is very helpful, she showed us a map and recommended a few places for us to visit, the hotel is clean. Very happy with the overall service. Very happy to stay at this hotel. Even is more like motel but i feel very comfortable, home, & very convient. Can park the car in front of the unit. - easy when u shop a lot . The lady in charge is very very friendly. Overall, i love this hotel. Will sure stay at this hotel again. Hope that lady will still be there. Great recommendation on breakfast restaurant at The Pavilion. We love it. Convenient location, near to attractions in Warnambool. It is a decent and simple inn which is good for a short day. We only stayed for 1 night as we drove all the way to Warrnambool on Great Ocean Road. There are also a couple of restaurants around which makes dining easier. However, the only setback is that if you are carrying big luggage and you are staying at the second floor, you need to carry your stuff up and the staircase is quite narrow. The staff was extremely helpful and gave us good tips on where to have breakfast and catch the whales. We were very appreciative with her tips. The room was neat and clean. We were happy for the great hosting. Do not expect much from this. It is just a simple motel for overnight. I will not rate it over above 7.2. Old carpet and small room. Staff are helpful and very informative. Thanks to 'Ann' for providing us the details. Overall it meet our expectation. The room was big and spacious to begin with, it was very clean also. Location was near to most attractions and dining places. Very Value for money, would strongly recommend travellers to stay here when in Warrnambool. Short stay but was up to usual Comfort Inn reliable standard.